… And Grandma Loved It!!! 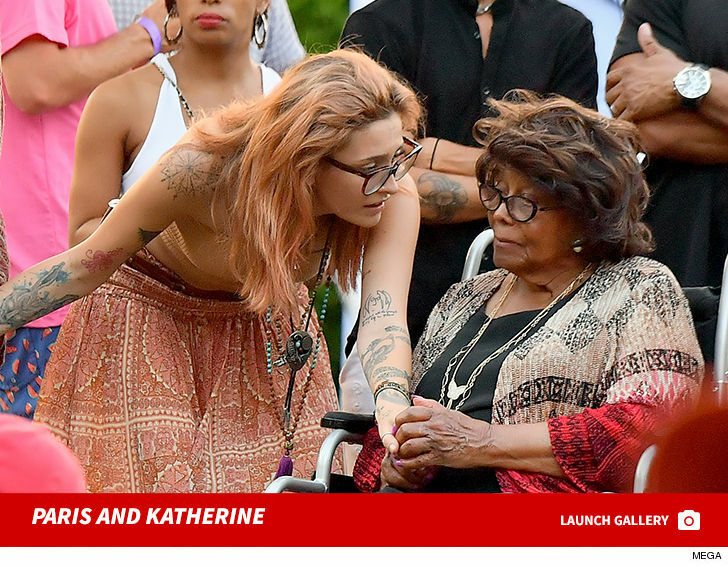 Paris Jackson proves there’s something heredity about singing, because she was awesome as grandma Katherine looked on. Paris was performing at the Canyon Sessions Cancer Fundraiser in L.A., and gotta say, she sounds a like like Joni Mitchell … and that’s high praise. What’s especially interesting … Katherine has been mostly MIA from the public for several years now, and a while back we reported she was living with one of her children and she had not seen her grandchildren in ages. It looks like they’ve reestablished ties. As you know, Katherine raised Paris and her brothers after Michael Jackson’s death. Paris had it rough after her dad died, but she’s rebounded spectacularly. BTW … the event raked in more than $20,000 for cancer research. Lil Wayne — I'm Out of This Mother****** … Whether It Sells Or Not!